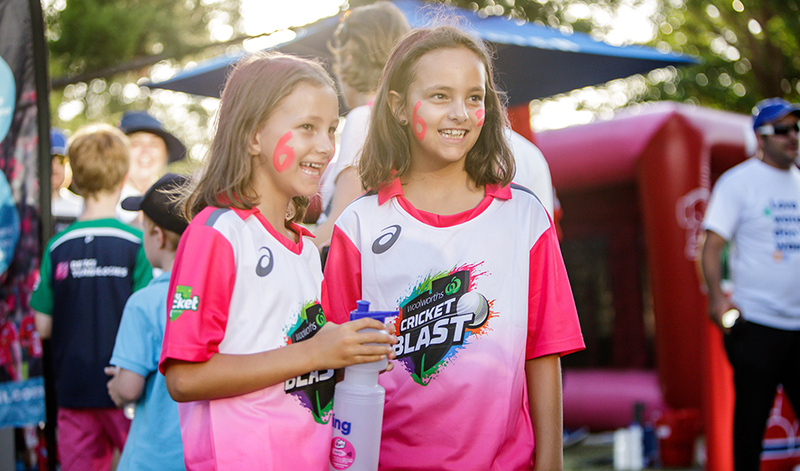 As Sydneysiders swelter through the latest heat wave, this year’s Big Bash and Women’s Big Bash Leagues are heating up to be one of the best yet! 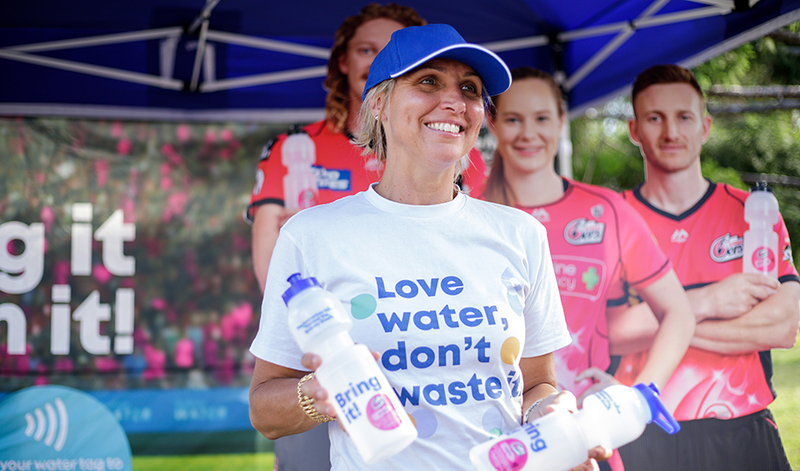 As the official Hydration Partner of Sydney Thunder and Sydney Sixers, Sydney Water, are helping fans stay hydrated while helping the environment throughout the season with their Bring It To Win It Campaign. 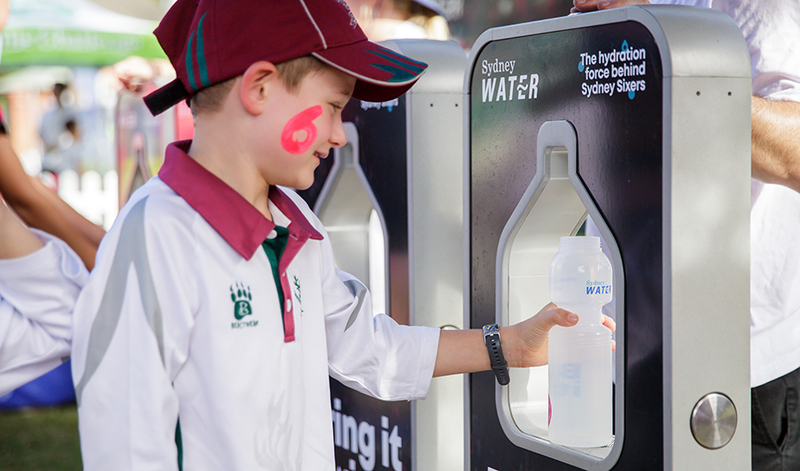 Using Near Field Communication (NFC) technology, cricket fans are being encouraged to stay hydrated and reduce the impact of single-use plastic bottles this summer. Our unique ‘water tags’ were sent pre-season in select supporter packs. They can also be collected on-ground at dedicated hydration refill zones. 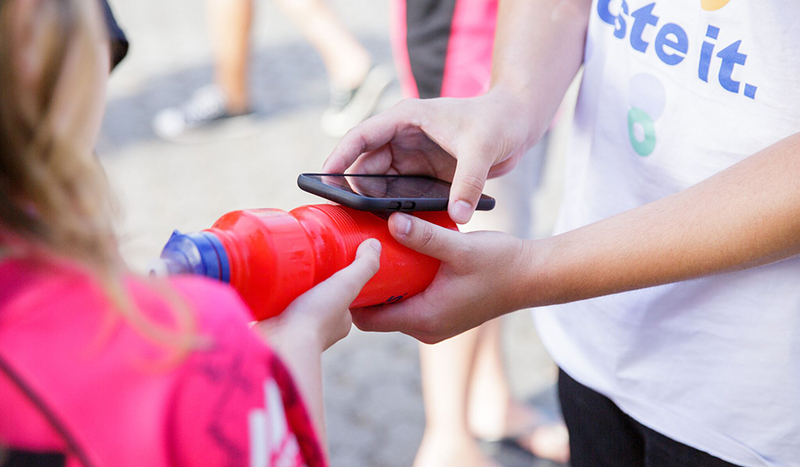 Fans simply need to stick their water tag to a reusable water bottle, bring to a Sixers or Thunder match, refill with fresh tap water at one of the dedicated water stations and tap their water tag to win team prizes instantly! Both clubs are encouraging their fans to BYO bottle to stay hydrated, and refresh and refill with Sydney’s world class tap water. Entrants can win signed merchandise and are further rewarded for repeat behaviour and bringing their bottles to matches throughout the season. Fans that tap four times get a limited-edition team branded stainless steel water bottle. For more dedicated fans that tap five times or more, they'll be entered into the draw to win an exclusive end of season Backyard Bash BBQ with their favourite Sixers and Thunder players. Throughout the campaign, fans are reminded to Bring It To Win It through targeted social media posts, personalised emails and in-stadium screen content to further drive behaviour change, awareness and reduce the impact of single use plastic bottles. Because Account Director Carl Stanley-Jones is thrilled to be working on the project: "The campaigns that make a positive change in people's behaviour are the ones that really inspire me - and Bring it to Win it is one of them! Not only is it urging people to make healthy, environmentally-conscious changes in their life, it's also using technology in an innovative way to create a completely a unique brand experience." The Bring it to Win it campaign runs from 7th December 2018 to 2nd Feb 2019 at home games for Sixers and Thunder teams.